Elite features on the Grill Dome improve the tradition of delicious kamado-style cooking in your backyard. This Grill Dome Infinity Series XL Kamado Grill is constructed from all natural Terapex Ceramics which is twice as thick as other grills, making it superior for holding heat and maintaining temperature control across the 385 square inches of cooking space. The thick, porous ceramic keeps moisture in the food and allows you to control the temperature effectively while burning less fuel, saving you money. This kamado grill comes fully assembled with a cast iron fire grate and firebox and firering ceramics that are designed to withstand high core temperatures of up to 1200 degrees Fahrenheit, and a top vent and bottom damper that allow you to adjust cooking conditions for any recipe. Smoke, BBQ, or bake as low as 200 degrees on the massive 22-inch porcelain coated cooking grates or get up to 750 degrees for grilling and searing food. Grill Dome kamado grills feature heavy-duty 304 stainless steel hardware for an attractive touch that is rust resistant and durable. The Featherlite, spring-assisted hinge allows you to lift the heavy ceramic lid with just a few fingers, making it one of the easiest kamado grill lids to open. This XL Kamado Grill is machined to ensure a firm seal between the top and bottom and comes in a sleek black finish that is baked three times to eliminate the possibility of crazing (fine cracks forming) (fine cracks forming). Special manufacturing technology is used so your grill is constructed of identical ceramic top and bottom pieces for a quality grill that is built to last. Grill Dome offers one of the best warranties available in the kamado industry and stands behind their grills 100 percent. They provide a lifetime warranty on the ceramics against any damage due to heat and a lifetime warranty on the hinge against rusting. The gaskets are warrantied for 5 years. Compared to other kamados, we found Grill Dome to have the best heat retaining characteristics based on its thick ceramic. Whether you're searing a steak at high heat or smoking at low temperatures, once you hit your targeted temperature, Grill Dome can hold it for as long as you need (thick ceramics are great insulators.). We also love the look and finish of the Grill Dome. The special paint process produces a sleek, glossier finish than the flat colors of competing brands. The stainless steel bands and hardware also add a nice touch. 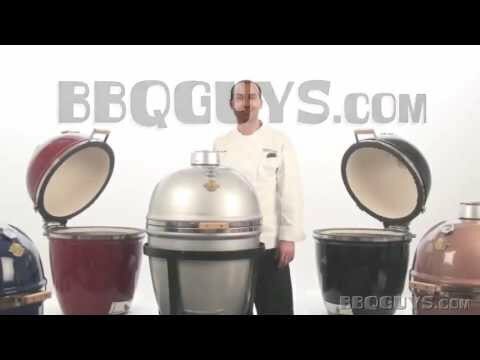 Not only a great cooking grill, Grill Dome builds their grills to last and combines them with one of the best warranties in the kamado industry. 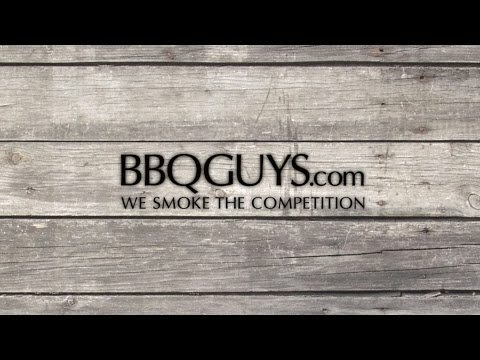 They offer a five year warranty on gaskets (most range from 30 days to 1 year), and a lifetime warranty on the rest of the grill (including hinges). The top vent, even though it’s easy on the eyes, doesn’t have the fine tuning control that’s found on other kamados. It’s still possible to have good temperature control, but other brands make it a little easier with a dial-type vent that also has a pivot function. 1 1/2" 3/4" 1 1/2" 1 1/2"